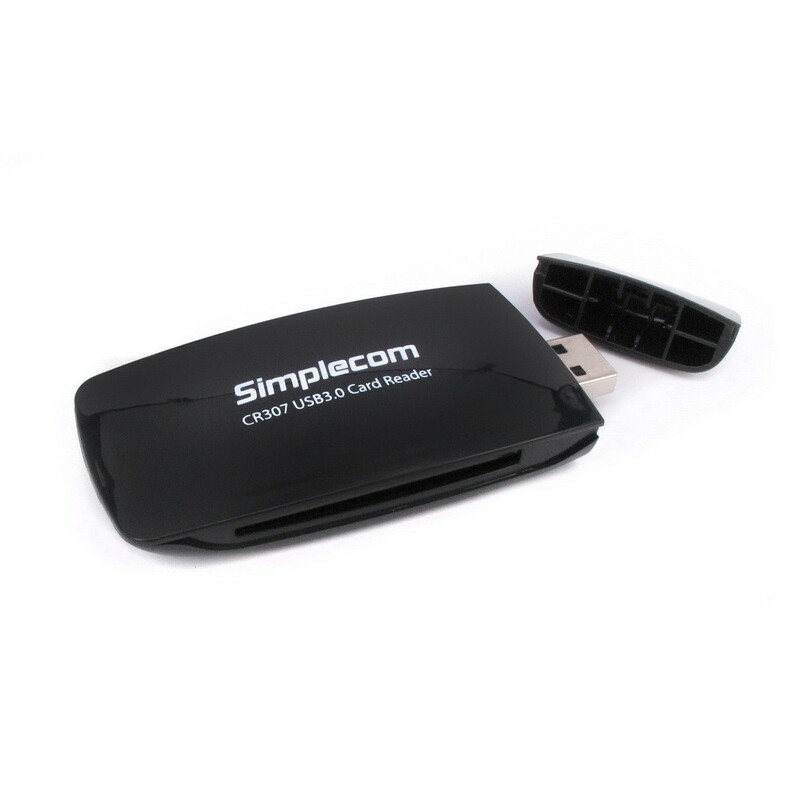 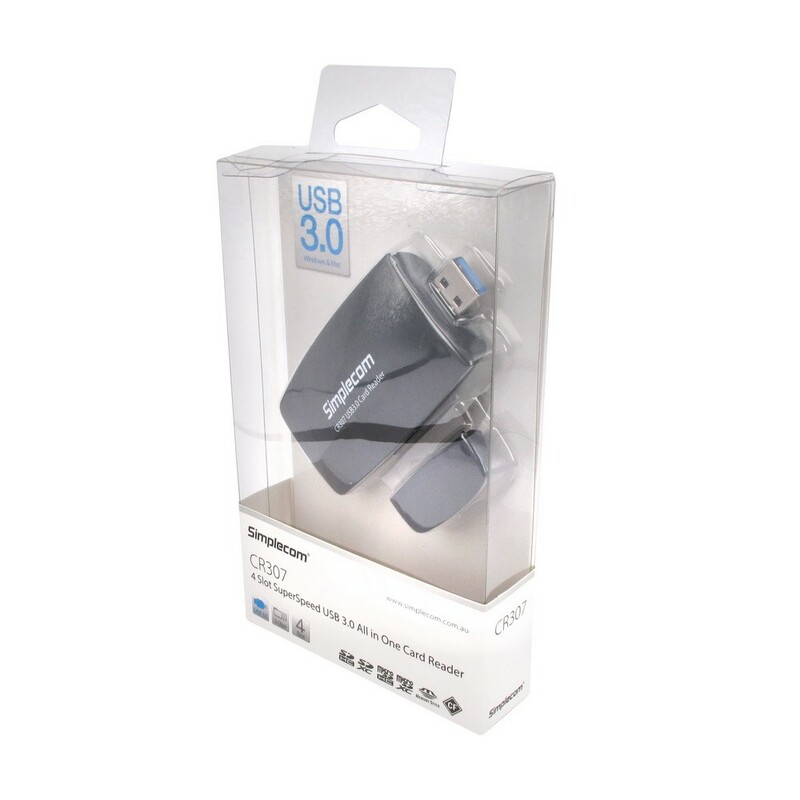 Transfer photos and video faster with Simplecom CR307 All-in-One USB 3.0 card reader. 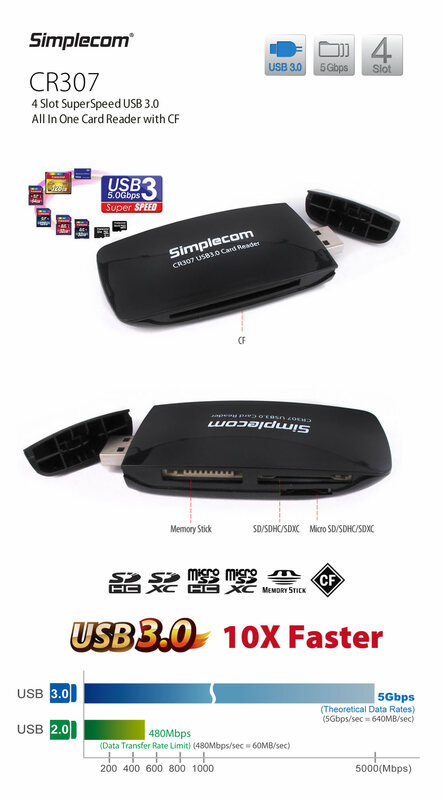 Based on USB 3.0 interface transfer performance of up to 5Gbps, this card reader reduces transfer time when downloading data from card to computer. 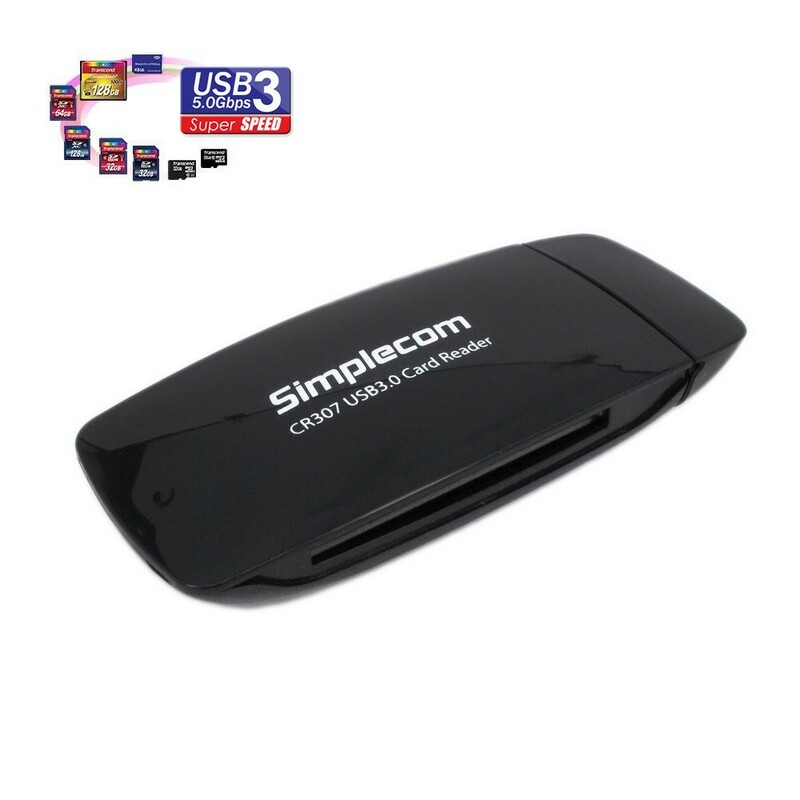 Outfitted with four card slots, this compact solution supports all major card formats and it’s also backwards compatible with USB 2.0 devices. 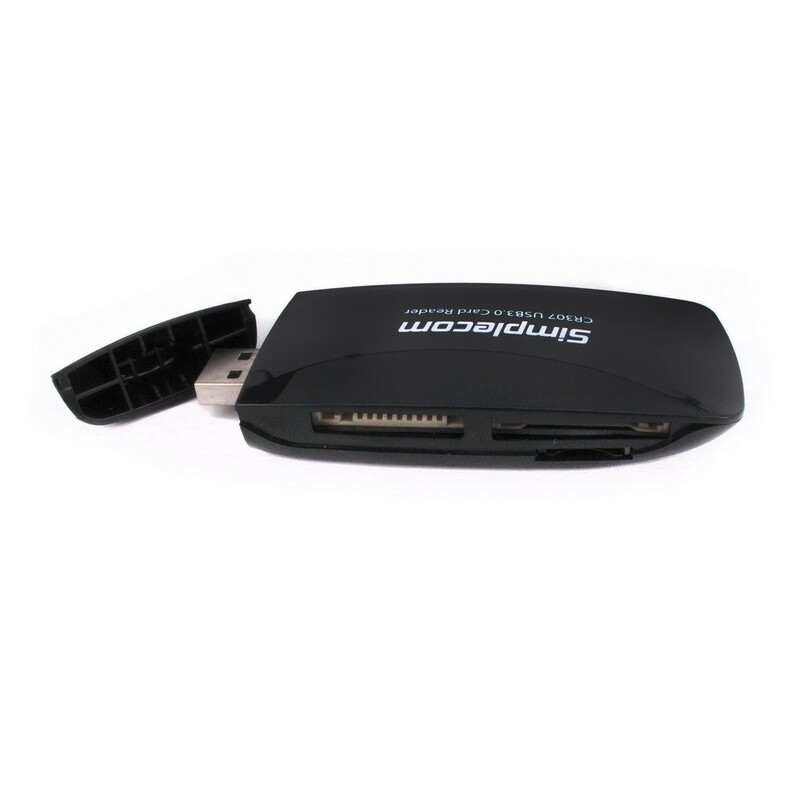 Unleash the full potential of your high-speed memory cards with the Simplecom CR307 USB 3.0 card reader.